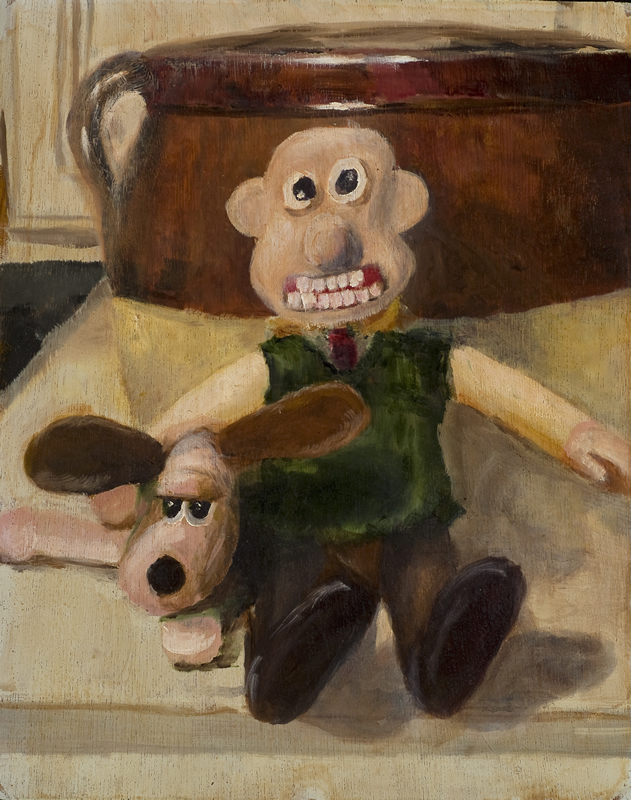 Painting Mother and Child was so intense for me, I painted Wallace and Grommet next, just for some comic relief. The two little puppets sit atop our fridge, leaning up against that bean pot. It worked! I love Wallace and Grommet.